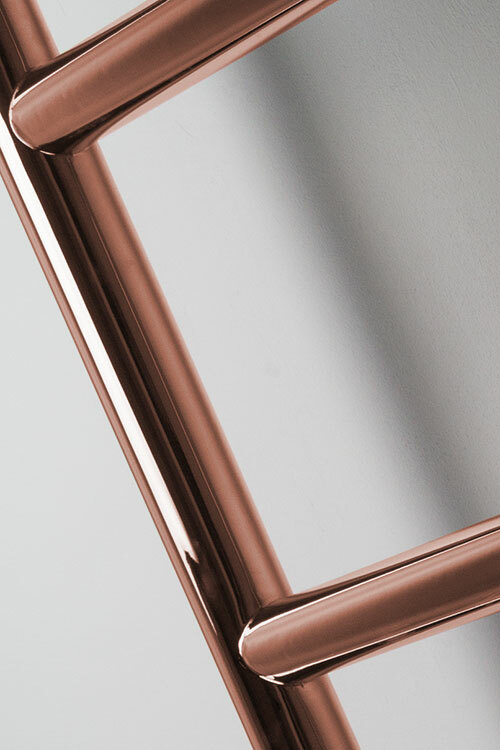 This stylish copper towel rail has a unique and contemporary design. 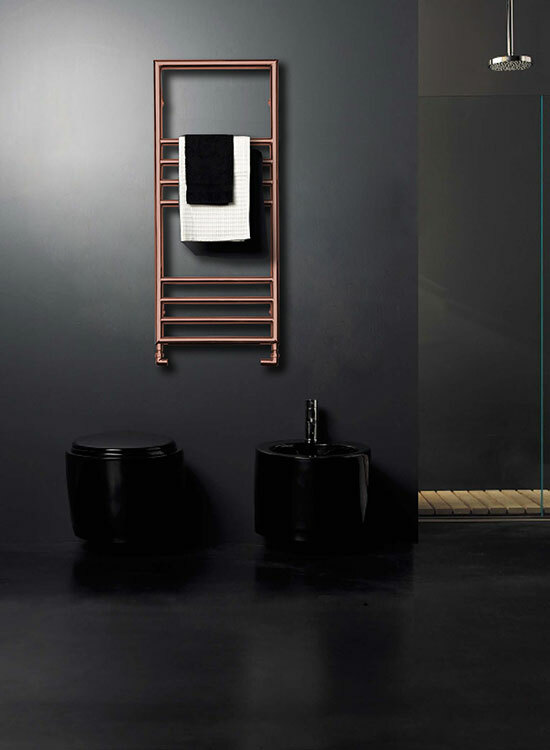 With plenty of towel-hanging space between the rails, this bathroom towel warmer is both beautiful and functional. 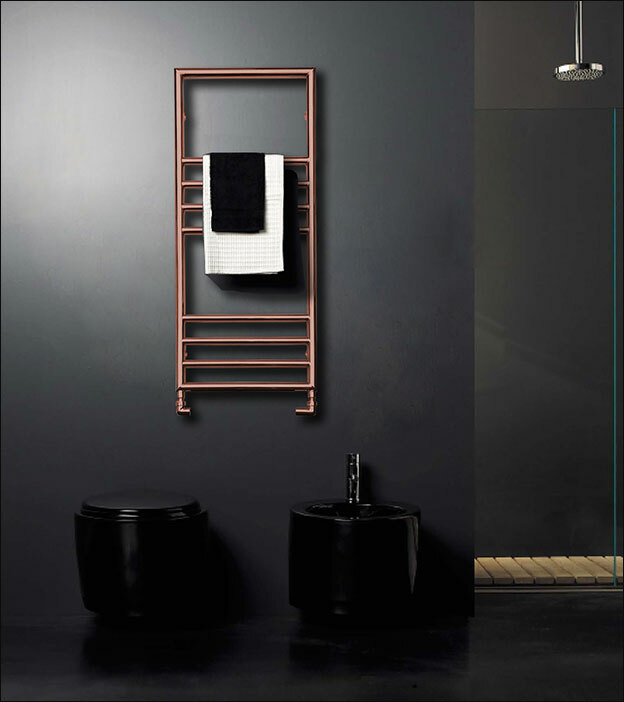 Plated in high-quality real copper, the Lulu towel rail is the perfect complement to our exclusive range of copper bathroom accessories. 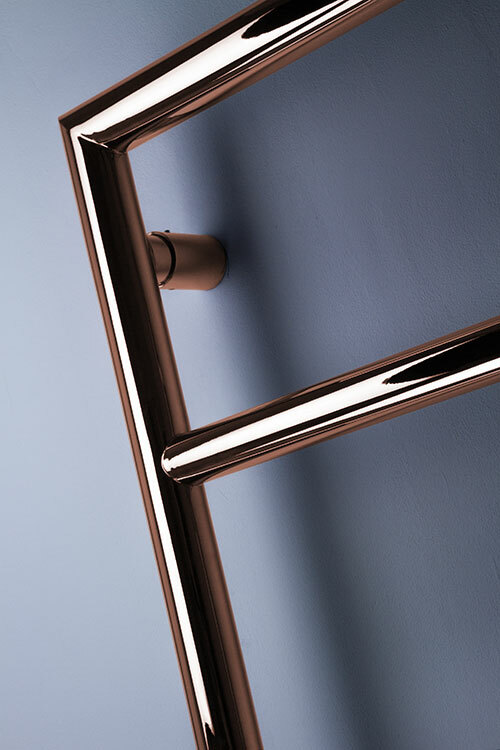 Alternative towel rail finishes are also available in polished gold, chrome, nickel and black chrome. 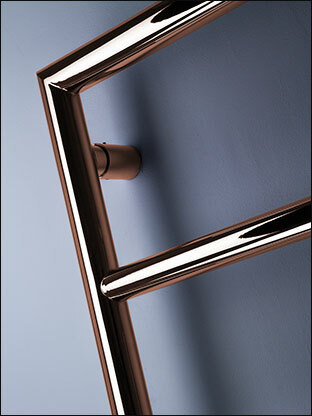  Ideal for modern & classic bathrooms. 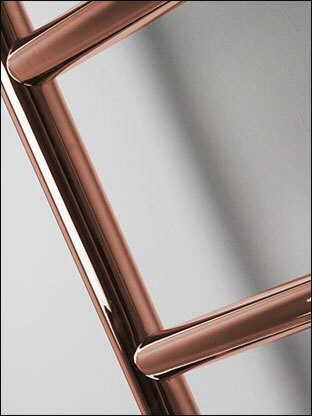  Copper plating on stainless steel body. 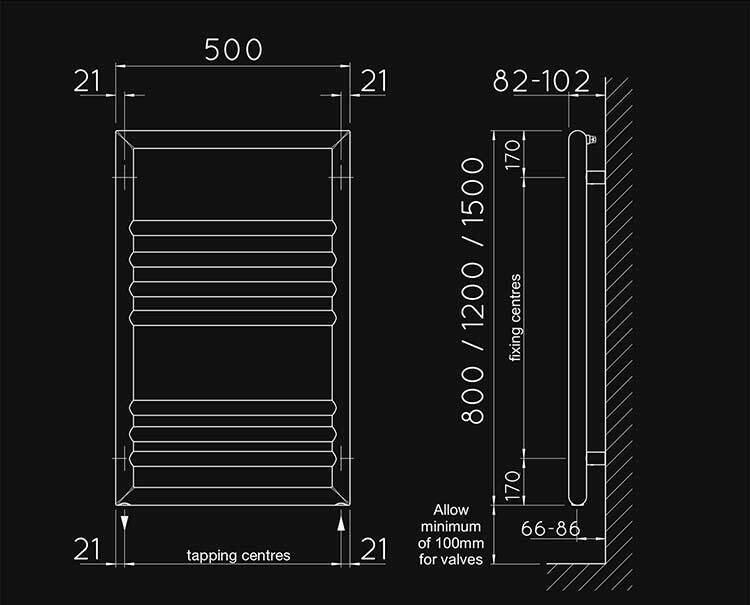  Supplied to special order. 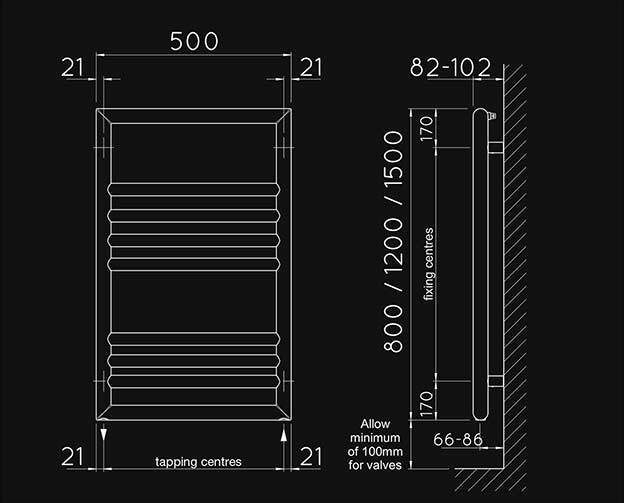  Central heating, dual fuel & electric.  Includes UK mainland delivery.